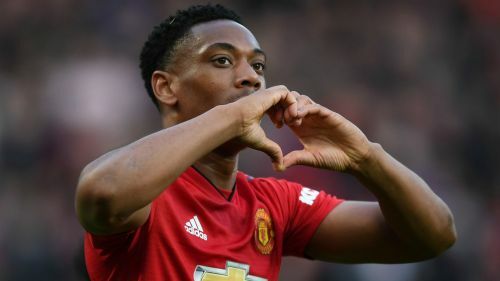 Anthony Martial will start with Marcus Rashford and Jesse Lingard in Manchester United's Champions League clash with Barcelona on Tuesday. The France international played the full 90 minutes of the 2-1 Premier League win over West Ham on Saturday, having only come on as a substitute in the 1-0 first-leg loss to Barca last week. In total, Ole Gunnar Solskjaer makes four changes from the West Ham win, with Victor Lindelof, Ashley Young, Scott McTominay and Rashford coming in for Diogo Dalot, Juan Mata, Romelu Lukaku and Marcos Rojo. Nemanja Matic and Alexis Sanchez, who have recovered from injury, are on the bench. Time for the news you've all been waiting for! Barca have made one change to the team that won at Old Trafford, with Sergi Roberto replacing Nelson Semedo at right-back. Ernesto Valverde has changed all 10 of the outfield players from Saturday's 0-0 LaLiga draw with Huesca, with only goalkeeper Marc-Andre ter Stegen keeping his place.